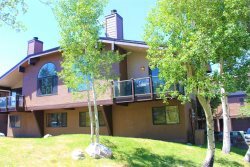 Before you book your vacation rental home in June Lake with June Lake Accommodations (JLA), we're sure you have plenty of questions on how to go about reserving your vacation stay in June Lake and what to expect after clicking the submit button. We are here to lend a helping hand in order to make this a quick and easy process so that you have more time to plan the adventure for your vacation! You can book online 24 hours a day or Call our Reservation Team at 760-648-1919. If you need suggestions for your stay, we're happy to help! It will be ONLY 25% to reserve a rental. The final balance is not due until 30 days prior to arrival. We offer early check-in and/or late check-out depending on availability and for an additional fee. Fees range from $35 to $100 depending on the size of the property along with time arranged. Please call 24 hours ahead to arrange. All of our vacation homes are maintained by JLA who will assist you with any question, comment or concern during your time of stay. Please inspect the home within 24 hours of your arrival and notify JLA with any item you believe to be a preexisting concern. We wish to help our guests as efficiently as possible with any question. How do I know which properties are available? The best practice is to start your search for a vacation rental with only properties that are available for your dates of travel. Our system is designed to "Stop Searching and Start Choosing!" Therefore we highly recommend you start with putting in your dates of travel and the number of people traveling with you. The system will provide you now with a list of properties that are available for your dates of travel. If the list of available properties is still too long, we recommend a second useful tip where you start narrowing down the specifics of your vacation accommodation. How do I choose and book my reservation with JLA? Visit the JLA vacation rental page and fill in the START HERE yellow box with your dates, number of people traveling in your party and you can choose the number bedrooms you need. Click the Check Availability button and you will be provided with a list of properties available for your dates. On the left hand side you will notice Advanced Search options and you can check or uncheck boxes, the list will update automatically in real time. Whichever box you check or uncheck, the list will always be properties that are available for your dates that meet the criteria of the advanced search box you have checked. You can now scroll down the list of properties available on your right, then click a picture of a home that's of interest to you. Then the property page will load displaying all details for that particular property chosen. When you're finished reading about that specific property, just click your back button and go back to the list of available properties. If you liked the home you just viewed, there is a Compare box you can check mark on the right hand side of that property listing as you have the list of all properties up on your screen. Click the Compare box. After reviewing the list of homes available, the fastest way to decide between two or three homes you like best is by using the Compare boxes. Make sure the compare boxes are checked for your top 2-3 home preferences, then scroll to the very bottom of the list and you will see a Compare Homes button. Click this Compare Homes button and you will have up to 3 properties listed next to each other to make an easy choice on which property would be your perfect vacation rental match. Once you have chosen your property, you can either click the "Book It Now" button on the property and reserve the vacation rental property online (this will block out that property so another guest cannot book it any longer online, as the home is held for your dates once your reservation is submitted) or you can give us a call at 760-648-1919 and a reservationist will help you make the reservation, whichever you feel most comfortable with. The booking form is described below in detail on what information you will need to complete your reservation. Are you bringing along the family pet? Please keep in mind that most units do not allow pets. Management companies will typically remove the guest and pet immediately from the home without a refund or compensation if the pet is found on the property without proper notification before the guest's arrival. Accidental Damage Waiver - Every guest reservation is required to include an Accidental Damage Waiver fee of $39. This waiver will cover accidental damages to the interior of the unit during a stay up to $1,500. If the damage to the unit exceeds $1,500, the guest will be responsible for the balance and the pre-authorized credit card we have on file will be charged. It is the guests' responsibility to report all damages within 24 hours of occurrence in order for the waiver to cover the damage repair. The damage waiver expires upon departure. Unreported damage is not covered and is the responsibility of the guest. This Damage Waiver does NOT cover intentional damage, theft, excessive cleaning, or any damage or flea infestation caused by a pet. Please do not hesitate to report an accident as this waiver is in place to protect property but also to encourage guests to work with the property manager. Bookkeeping Fee: Only if a reservation is canceled, a onetime fee of $35.00 for bookkeeping services will be charged. If canceled prior to 30 days before arrival, your hold payment will be returned to the credit card on file minus the $35.00. What should I expect after I book my reservation online? After you submit your reservation request you will see a Submission Successful notice where you can choose to print a copy of the reservation for your records. You will also be provided with a customer or transaction ID# for future reference and an e-mail will automatically be sent through the reservation system. This confirmation which includes information on the receipt of payment will be sent to the email address you have provided on your request within 24/48 hours of the initial submission. The JLA Confirmation is a printout of your reservation details in which you will sign and date at the bottom of the page assuring all information is correct, that you agree with JLA Terms & Conditions. You will be required to sign both this confirmation printout and any registration documents required by the management company of your vacation home. Both documents may be faxed, mailed or emailed to our office with your original signature. This actual JLA Confirmation is your official acceptance of the reservation request and of the final balance charge that will take place 30 days prior to your arrival date. Once the reservation confirmation, down payment receipt, final balance receipt (and security deposit form if applicable) are signed and returned to our office you will then receive your check-in directions for your specific rental. A final confirmation which will include: directions to the property management check-in office, here of which you will be picking up the key to your rental property and the directions to your vacation rental. If you will be arriving after business hours there will be a lock box in the front of the office. In this lock box will be an envelope with your last name printed and it will contain all of the information you need for your check-in. A 24 hour emergency phone number will be provided for each guest and is to be used for Emergencies Only. This 24 Hour Emergency Number will be for you to contact JLAC in regards to a true emergency that cannot wait to be resolved until the following business day. Water flooding or heat not working would be a true emergency. WIFI acting slow is not an emergency. What is the Check In time? Check Out time? Check in time is 4pm. Check out time is 10 am. All keys to the unit must be returned back to the SAME location from which you picked them up. Please do NOT leave any keys inside the rental unit. If you lose your property key, you will be subject to the replacement fee according to the terms of the property management company. If you do not return the key to the lock box or the lock box top is not returned to its proper place, then the guest will be responsible for the cost in replacing the lock box. JLA will bill the guest directly for the cost incurred. A reservation made within 30 days of the guest's arrival date will be subject to be paid in full. Hold Payment: A hold payment is required with each reservation. The reservation hold payment of 25% required in order for JLAC to accept the reservation request. The hold payment portion is deducted from the grand total amount of the entire reservation and once it is applied it will leave a remaining balance. The remaining balance: The remaining balance will be due 30 days prior to your arrival date and will be charged to your credit card on file automatically. If you wish to provide another Credit Card for the balance or multiple cards to split the balance, simply give JLA a call prior to the 30 day mark. For any reservation made within 30 days of the arrival date, the entire reservation amount will be automatically collected upon receipt of the reservation request. An advanced hold payment of 25% is required at time of booking to guarantee reservations. Final payment is automatically taken 30 days prior to arrival. Cancelations at least 30 days prior to arrival are refundable less a $35 booking keeping fee and applicable taxes. Cancelations less than 30 days prior to arrival are subject to no refund. We suggest that you purchase trip cancelation insurance to protect you in the event of unforeseen circumstances requiring the cancelation or interruption of your trip. All pet waste outside must be picked up and disposed of properly. A fee of $100.00 per hour will be charged to remove and dispose of it. No wet pets allowed in the house. All pets must be properly vaccinated. All pets must be free of fleas. Pets are not allowed to roam and leash laws must be observed. What is supplied in the full kitchen? Your kitchen will include the following: refrigerator, freezer, oven, stove, microwave, dishwasher, coffee maker, toaster, blender, cutlery and pots & pans of various sizes (at least one sauce pan and one frying pan). There will be glasses, cups, plates, bowls and silverware available for the specified maximum number of people permitted in the home. Guest is responsible for their own groceries, detergents, and paper products for the duration of the stay. What other items will be supplied in the unit? For your convenience there is a washing machine, dryer, broom, dustpan, iron and ironing board in the rental unit. No chemicals will be kept in the property therefore; you will be responsible for picking up your own cleaning supplies, detergents and soaps. However, starter paper products will be provided. A reasonable supply of hand soap and toilet paper will be provided. Fresh linens are provided prior to arrival. There will be additional bed blankets provided in the home. Towels are provided for the specified maximum number of people permitted in the home. Please keep in mind no chemicals or cleaning products are left on premises. You will be responsible to purchase soaps, detergents or cleaning supplies you require during your stay. Should you need more towels, please arrange with teh office. No mid stay cleaning is provided. Please be sure to read the Terms & Conditions for additional details regarding your reservation. Guests are subject to the follow the specific rules & regulations in force by the management company for their vacation home. Other mandates can be found posted within or around your rental property. The management company may choose to charge a guest for any damaged, stained, lost, stolen, or broken item(s) in need of repair or replacement that they deem necessary and the cost will be billed directly to the credit card(s) held on file for the reservation as the guest’s billing information is provided to the supplier of the rental property for such incidences. 1. No Smoking within any vacation property. Violators will be subject to extra deep-clean costs. 2. Pets are only permitted within designated pet friendly homes. Violators will be required to immediately vacate the residence and no refunds will be given . 4. You will be expected to place your garbage in the proper collection bin. Any excessive trash within the home or left upon the exterior of the property will subject the guest to proper cleaning charges and/or an excessive trash fee. 6. Please do not place paper towel or other items other than toilet paper in the toilet bowls. Plungers are provided but if a plumber is needed the guest will be subject to the cost incurred. 7. Any damage that is malicious or intentional to the home including the exterior or interior, or contents within the home will result in repair or replacement charges that will be billed to the guest directly by the management company of the property. Stolen items from the property will result in charges that will be billed to the guest directly by JLA and the incident will be reported to authorities. 9. Do Not loose you key. Lost or stolen keys will need to be replaced and the guest will be charged directly by the management company to cover this cost. Upon checkout of the home return key to JLA office or drop box. 10. Please clean up spills, smudges or stains made by your party on the floor, carpet, or bedding (towels, pillow cases, sheets and blankets). These items need to be enjoyed by the next party entering the home and we’d greatly appreciate your help in cleaning up if your toddler spills their juice on the floor for example. Carpet cleaning or dry cleaning costs will be a result of items left stained by a guest and the guest will be charged directly for such cleaning costs or replacement of the items damaged/stained.